You will love our sporty yet economical 2015 Chevrolet Cruze 1LT Sedan presented in Blue Ray Metallic. Powered by a TurboCharged 1.4 Litre 4 Cylinder that generates a spirited 138hp while matched with a smooth shifting 6 Speed Automatic transmission. With this Front Wheel Drive, find yourself rewarded with near 6.2L/100km on the highway and responsive handling with a comfortable, compliant ride. Distinctive details such as a prominent grille and attractive wheels showcase the athletic presence. Inside the comfortable 1LT cabin, you'll enjoy impressive cargo capacity and incredible versatility designed to fit your busy lifestyle. Enjoy cruise control, keyless entry, a rearview camera, a leather-wrapped steering wheel, and other amenities as you stay safely connected via Bluetooth or listen to a great sound system with CD/MP3 player, available satellite radio, USB port, and an auxiliary audio jack. Why purchase a used car from DRIVEN CARS CANADA: We make it easy, simple and painless. 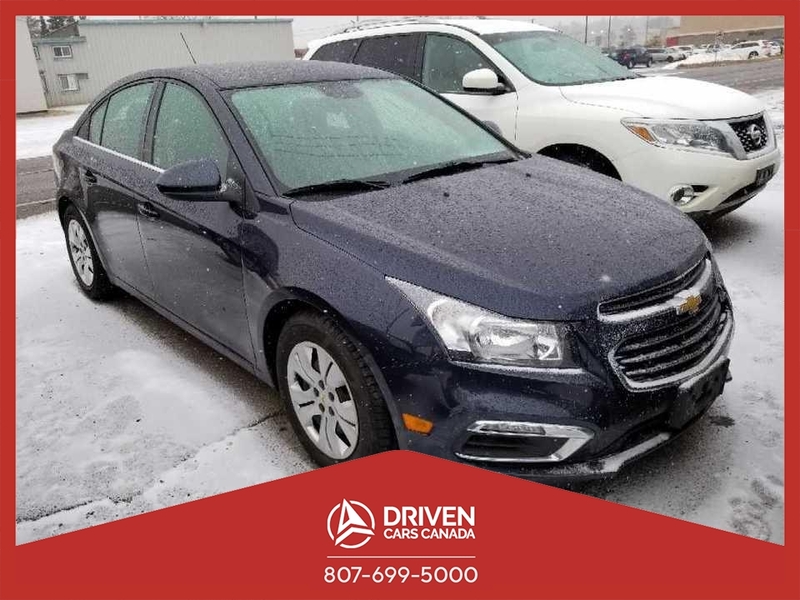 This 2015 Chevrolet Cruze 1LT also comes with a 30 day/500km warranty covering any pre-existing repair.